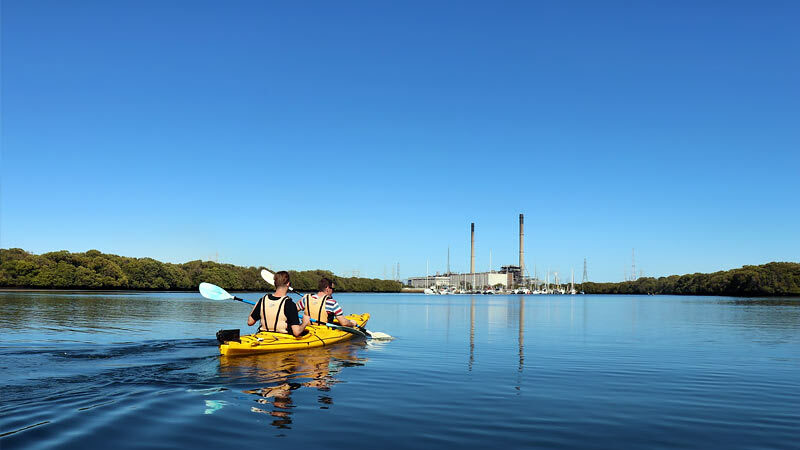 Explore the wonderful world on mangroves just 25 minutes from Adelaide. 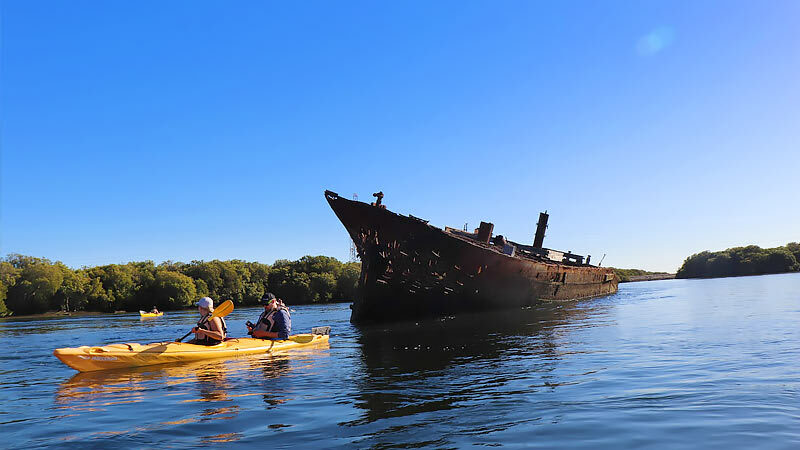 Discover shipwrecks and paddle amongst this unique plant community on a day trip to remember. Explore Adelaide’s own Dolphin Sanctuary and shipwreck heritage trail around Garden Island by sea kayak. 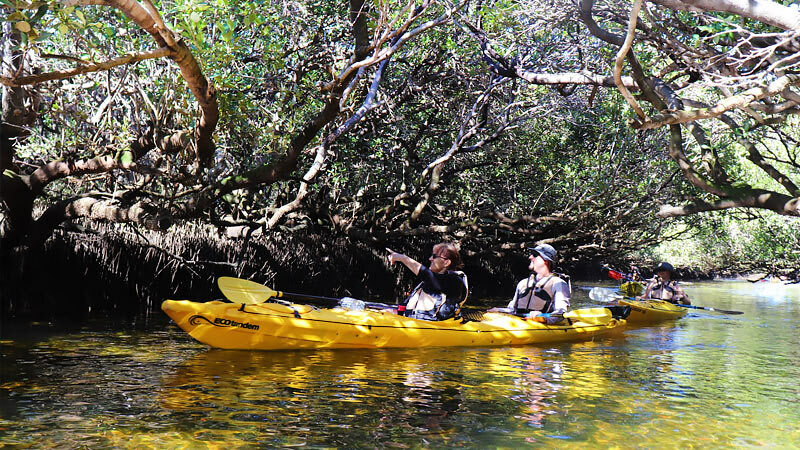 On this sea kayak tour you will paddle through wonderful mangrove lined creeks and see a wealth of bird life and sea creatures along with shipwrecks. There are over 25 shipwrecks scattered around this area. Some were grand sailing ships others were tugs or barges each with its own unique history including one of the very first iron built ships in the world. This trip is ideal for families and people who just want to relax and soak up the heritage this area has to offer. 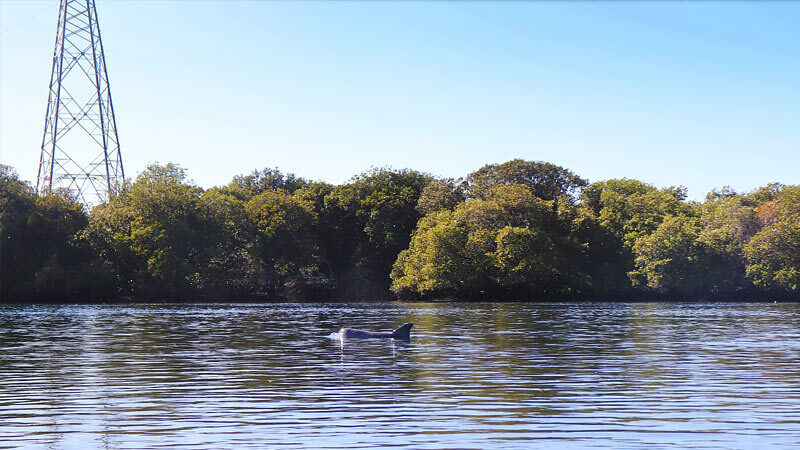 The lush forest of Grey Mangroves provides a haven for extensive bird and sea life. Located at Garden Island, only 25 minutes from Adelaide CBD, it makes it easy access for a day which is out of the ordinary. 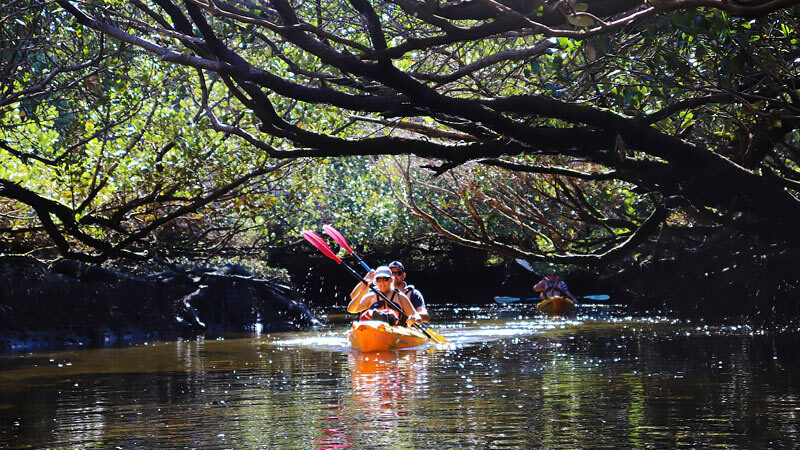 Tours run spring to late autumn and are conducted in double sea kayaks, which are easy to paddle, stable and very comfortable. Tour times vary depending on the tide but the usual times are 9:00 AM and 1:00 PM. 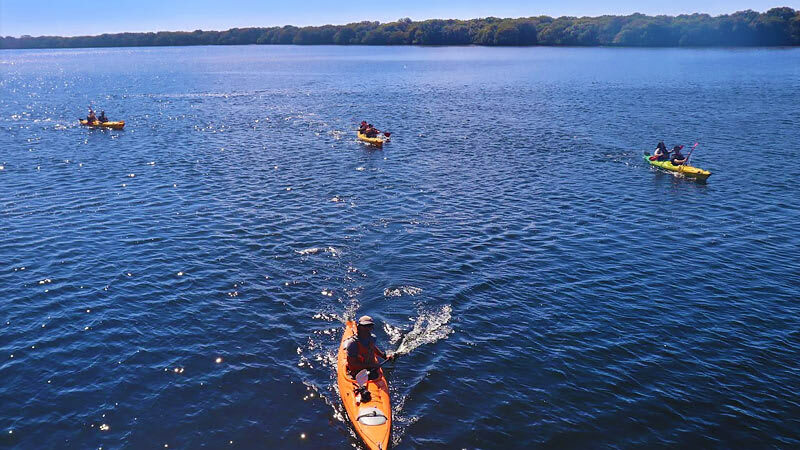 Tours run from spring to late autumn and are conducted in double sea kayaks, which are easy to paddle, stable and very comfortable. Transport can be provided for groups or individuals at an extra fee depending on collection location. Even in 40* it was still the most magical day ?? The kayak's are wicked fun... The ship wrecks are picturesque & the stories about the wrecks makes them feel erie yet beautiful... Then to finish off with a paddle down a secret inlet was purely majestic! They're were dolphin's on the way in as well but the camera was flat by then... I would highly recommend this to anyone as it was the most perfect experience to share with my Dad and a wonderful way to see a different side our beautiful state. THANKYOU ADRENALIN!!! ?